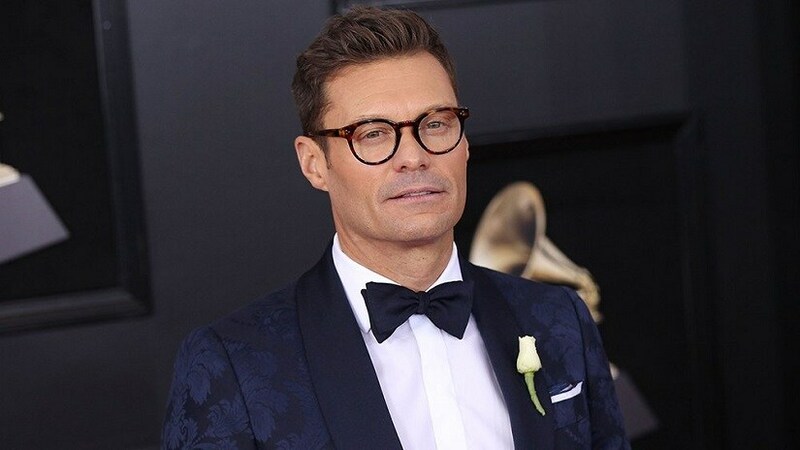 Los Angeles: TV host Ryan Seacrest accessorised his velvet suit with a Time's Up bracelet at the 2019 Golden Globes red carpet, a year after he was accused of sexual misconduct. Seacrest showed off his bracelet on the one-year anniversary of the organisation's creation after a stylist filed a police report with the LAPD alleging he sexually harassed her. Suzie Hardy first came forward to Variety, claiming she endured abuse for years as Seacrest's stylist at the E! network. The popular host has strenuously denied the accusation and a third-party investigator later found the claim to be unsubstantiated. Viewers on social media immediately called out Seacrest for sporting the bracelet. "Ryan Seacrest wearing a Time's Up wristband should cause him to burst into flames like a sinner in church," wrote a Twitter user. "Ryan Seacrest is wearing? A Time's Up bracelet? While everyone just kinda ignores that he was one of the accused men last year? SURE OK," commented another. "What gives Ryan Seacrest the ego to wear a #TimesUp bracelet? Does he think we forgot?" tweeted another one. "My dude, the time for you is not today"
A user wroter, "Ryan Seacrest wearing a #TimesUp bracelet really is the definition of irony, isn't it?" At last year's Oscars red carpet, actor Taraji P Henson shaded Seacrest about the accusations against him. "The universe has a way of taking care of good people," Henson said to Seacrest, touching his chin.